Review excerpt from the Midwest Book Review: "...a thoughtful exploration of the life and works of the fantasy author that C.S. Lewis hailed as "my master", and that G.K. Chesterton thought of as one of the three or four greatest men of the nineteenth century. ... Enthusiastically recommended as a biography and study aid for students and scholars of George MacDonald's literary creations." by James A. Cox, Editor-in-Chief. Deb Hansen who encouraged me to look for a publisher and for believing in the book. Chris Manning for encouraging me to write in the first place. Dale Ahlquist for giving me a lot of info about G.K. Chesterton. Please visit his website at The American Chesterton Society. Friends in high places at the University of Illinois, Southwestern Illinois College, and McKendree University. 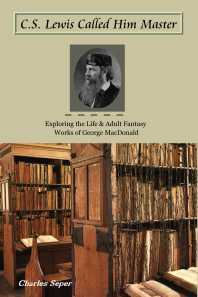 Many readers come to George MacDonald's fantasy literature by way of C.S. Lewis who lauded him as, "my master," or G.K. Chesterton who referred to him as one of the three or four greatest men of the 19th century. However, MacDonald's stories are so complex, so full of twofold meanings, symbolical, metaphorical, and parabolic that many, if not most, readers find themselves perplexed after first coming upon him. "C.S. 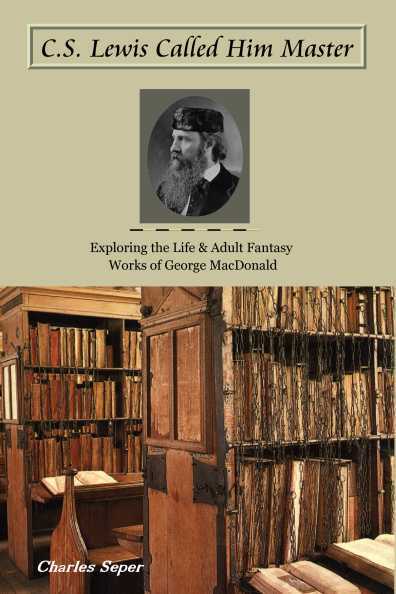 Lewis Called Him Master" attempts to explain the obscurity behind many of the passages in MacDonald's only two fantasies written for adults, "Lilith," and "Phantastes," while also providing the reader with a brief, but adequate, examination of George MacDonald's life and work. Also contained therein are several rare photos of the MacDonald family, many of them taken by fellow author and family friend Lewis Carroll. "C.S. Lewis Called Him Master" is an essential biography and study aid for students of George MacDonald's most intense works. About the corny title: I would have liked nothing better than to call the book something else; however, very few people ever heard of George MacDonald while scores of people know of C.S. Lewis. I thought that working Lewis' name into the title would cause folks to pick up the book who otherwise would have passed it by. It was simply a marketing ploy. Not that I care about making money on the book. Lord knows there's very little money to be made in that regard anyway. I just want more people to know about MacDonald.